Bolt pattern is 8 on 10.75 Inches, with 9 inch center pilot hole. Fits all 8 on 10.75" bolt patterns with 9" center pilot hole. Not sure about fitment, no worries, simply contact us! We can help you keep moving with no down time ever with flat tires! When selecting this item select qty of 1 unit at check out, the entire set comes as one kit. You will get 2 left side tires and 2 right side tires. Whether moving pallets in a warehouse, working on the farm, needing flat proofing in foundries these are Solid. 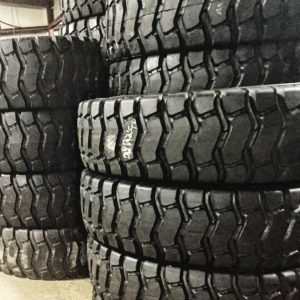 Waste recycling plants, mining, hauling sod for landscaping we have the right skid steer tires and wheels for the job! Never need to worry about mounting your tires either! 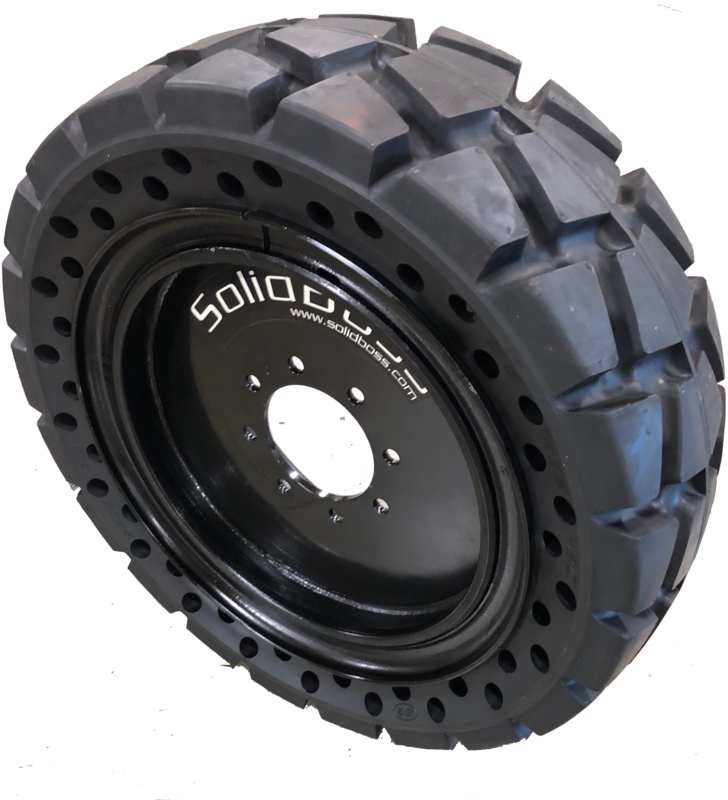 No Need ever to worry about a flat tire, Care Free Tires, no more blow outs or sidewall tire failures! 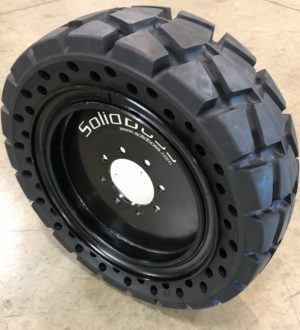 When purchasing Solid Boss tire and wheels from Outdooritre.com our tires and wheels come mounted, bolt on ready, simply unbolt your existing tires and wheel and bolt on your new Solid Boss Airless tire and wheel kit. 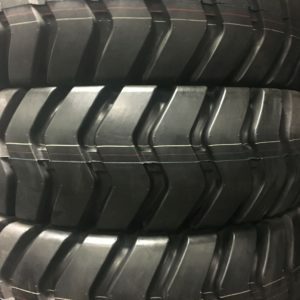 Outdoor Tire has focused in on the best source for Solid Tire and Wheel Kits with Aperture Holes, focusing on designing and manufacturing tires to meet your machine usage. 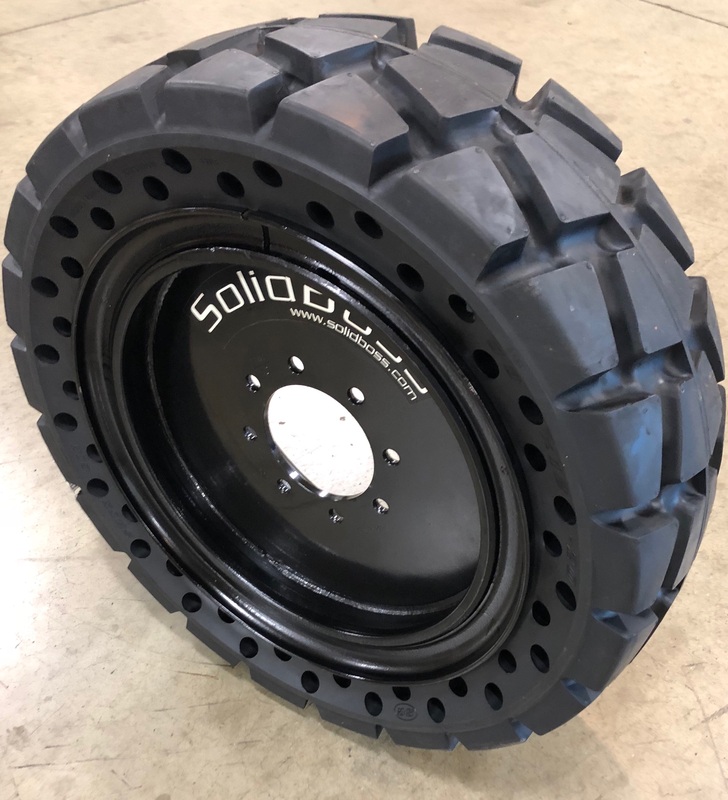 When we went on task to source top quality Solid Boss Tire and Wheel solution we simply set out to find a solution that took the benefit of flat proofing foam, extended tread life, and best ride possible for a solid aperture tire and wheel flat proof solution. 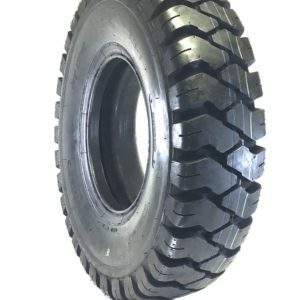 Semi-Pneumatic tires are guaranteed flat proof, yet, they offer a cushioned and pleasant ride. Deep cushioning holes in the sidewall optimizes flexibility, anti-abrasion, tear resistant rubber compound can handle the most severe job conditions and gives ultimate durability. Save cost by eliminating repair costs, lost wages and productivity due to downtime. We encourage you to either call or request a quote from one of our knowledgeable, professional sales staff where we’ll take the time to evaluate and recommend the right product for your job.